Back in the “old days,” visitors to Oahu had, pretty much, one option when deciding where to stay — Waikiki. But, in 2016, the number of “resort” areas on Oahu has exploded. Ko Olina on the leeward side and enclaves on the North Shore have become every bit as enticing to visitors as the sandy beaches and skyscrapers of Waikiki. Perfect For: Families of all ages, singles, LGBTQ, couples. No matter who you are or what you like to do, Waikiki has it all. For families, Waikiki has five sandy beaches, all equipped with lifeguards and small-to-medium-sized waves. For singles, Waikiki is within walking distance to outdoor bars, such as Duke’s Canoe Club and dance clubs, such as SKY Waikiki. For the LGBTQ community, Queen’s Surf Beach has repeatedly been voted one of the most gay-friendly beaches in Hawaii. And, for couples, you have access to five-star restaurants, boutique-style hotels, and lots of shopping. Not Perfect For: Anyone who likes a more secluded beach experience. Waikiki beaches are the most crowded beaches on Oahu, and it can be difficult to find space on the sand if you head-out too late or on weekends. 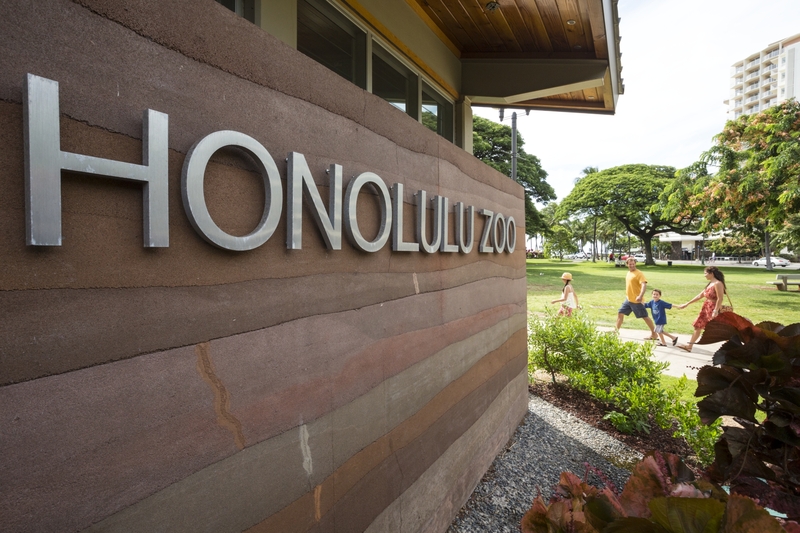 The Honolulu Zoo is also within walking distance of many hotels in Waikiki. It's perfect for families looking for an activity away from the beach. Things To Do: Surfing lessons, stand-up paddleboarding lessons, bodyboarding, parasailing, sunset catamarans, snorkeling, and scuba diving are just a few of the many activities you’ll find in Waikiki. No matter what your skill-level or age, you can find a way to enjoy the ocean and beaches in this famous resort area. And, make sure you book your activiites through Hawaii Aloha Travel, to take advantage of deep discounts that are passed onto you! Nearby Attractions: Diamond Head is just a short hike away (or you can catch the Waikiki Trolley), the Honolulu Zoo, and Waikiki Aquarium are some of the hot-spots within walking distance to Waikiki. Perfect For: Families and couples. For families, Ko Olina his host to the Aulani Disney Resort, which is always a big hit with the kids. In addition, you’ll find the Marriott Ko Olina Beach Club, which has a similar “family” vibe to it. The Beach Villas at Ko Olina are time-share condos that can accommodate large families looking for more than one room. For couples who want to stay in a high-end resort, the Four Seasons just opened its doors (but prices are a bit steep for those on a budget). 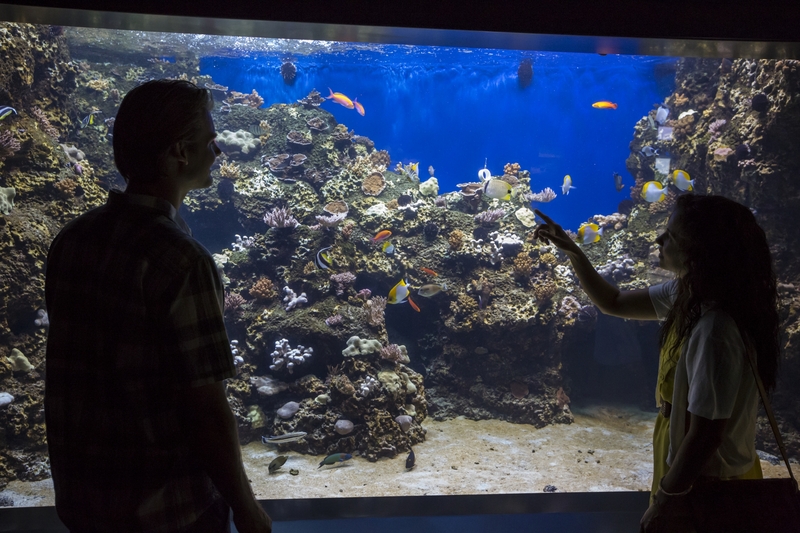 The Waikiki Aquarium is walking distance from most hotels in Waikiki. Not Perfect For: Visitors looking for a party scene. Ko Olina’s vibe is a bit more low-key and slower than the hustle-and-bustle of Waikiki. So, if you’re looking for a jammin’ after-hours scene, you won’t likely find it here. 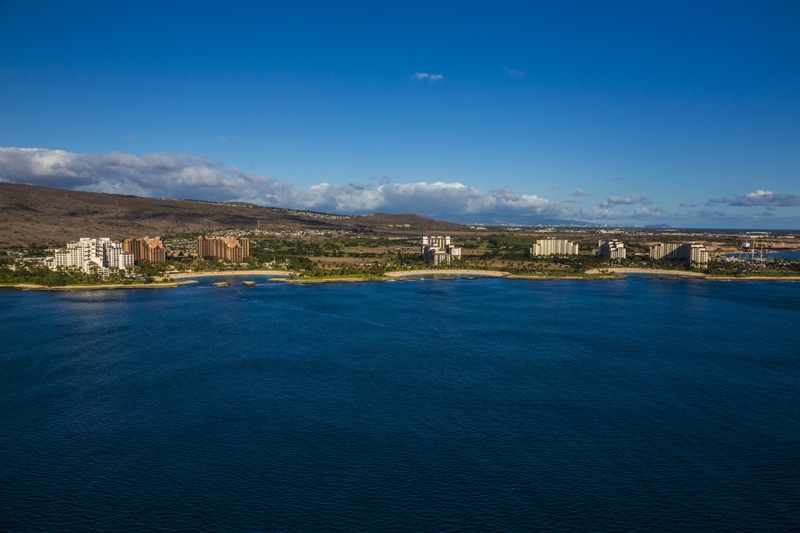 Things To Do: The Paradise Cove Luau is right on Ko Olina’s campus, so it’s walking distance for most visitors. Then, of course, there are a slew of ocean activities, such as surfing, stand-up paddle boarding, cruising, snorkeling, and scuba diving. Because Ko Olina has fewer hotels and visitors than Waikiki, some of these guest activities can fill up quickly. So, be sure to make your reservations early if you decide this is where you want to stay on Oahu. Nearby Attractions: There aren’t too many nearby attractions that are visitor-driven, but if you head to Kapolei (only 5 minutes away), you’ll find iTrampoline Hawaii, K1 Speed (go-carting), and the water park, Wet n’ Wild. In recent years, Ko Olina went from hosting just one hotel to hosting several. Some developers call it the next big resort area on Oahu. Perfect For: Families of all ages, singles, LGBTQ, couples. Lots of visitors like to rent a home on Oahu’s North Shore, especially during the winter when the waves are gargantuan. But, it’s fun to spend time on the North Shore, no matter what time of year. Families might want to consider staying at the newly-opened Courtyard Oahu North Shore or renting a house near one of the many North Shore beaches. Singles will love the laid-back atmosphere in Haleiwa, where you’ll find local coffeehouses and fun places to hang out. LGBTQ visitors won’t find beaches and bars that are specifically hailed as gay-friendly. But, the accepting atmosphere on the North Shore makes this area a great place to be for all. And, couples can find seclusion by renting one of the many North Shore homes along the beach. Not Perfect For: Visitors who love hustle-and-bustle. One of the most charming things about the North Shore is, well, its charm. Everything is small in scale, and the community is small, too. So, if you love noise, skyscrapers, and lots of people, steer clear of this area. Things To Do: If you’re an avid surfer, you won’t want to miss the colossal waves that greet the North Shore every winter. But, you’ll also find opportunities for sailing, scuba diving, and snorkeling in the area, too. And, the North Shore is home to North Shore Shark Adventures, where you can interact with these amazing animals. Haleiwa Town is a laid-back surfer town on the North Shore of Oahu. If you're looking for a slower pace, you found it! Nearby Attractions: One of my favorite places on the North Shore is Waimea Valley. There, you can stroll through a rainforest, along a paved path, all the way to one of the most beautiful waterfalls in Hawaii. Or, consider driving a bit to Kahuku, where you’ll find the Turtle Bay Resort. Of course, you can also take a tour of Kualoa Ranch, featured in numerous films. 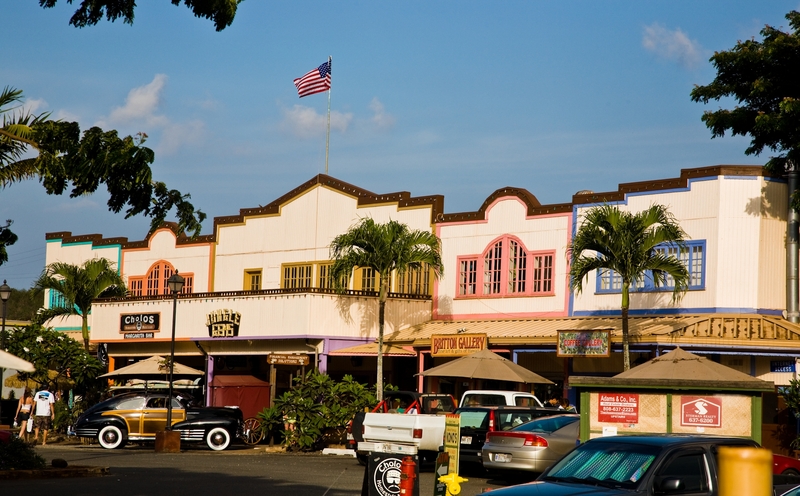 Or, hang out in Haleiwa Town, and enjoy some retail therapy at some of the town’s local shops. Finally, you’re not too far from the Polynesian Cultural Center, in Laie. Deciding where to stay on Oahu is one of the most important decisions you’ll make when planning your Hawaii vacation. So, use our grid to find the right fit!